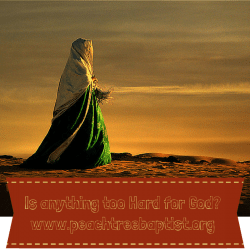 Comments Off on Women… Is Anything too Hard For God? 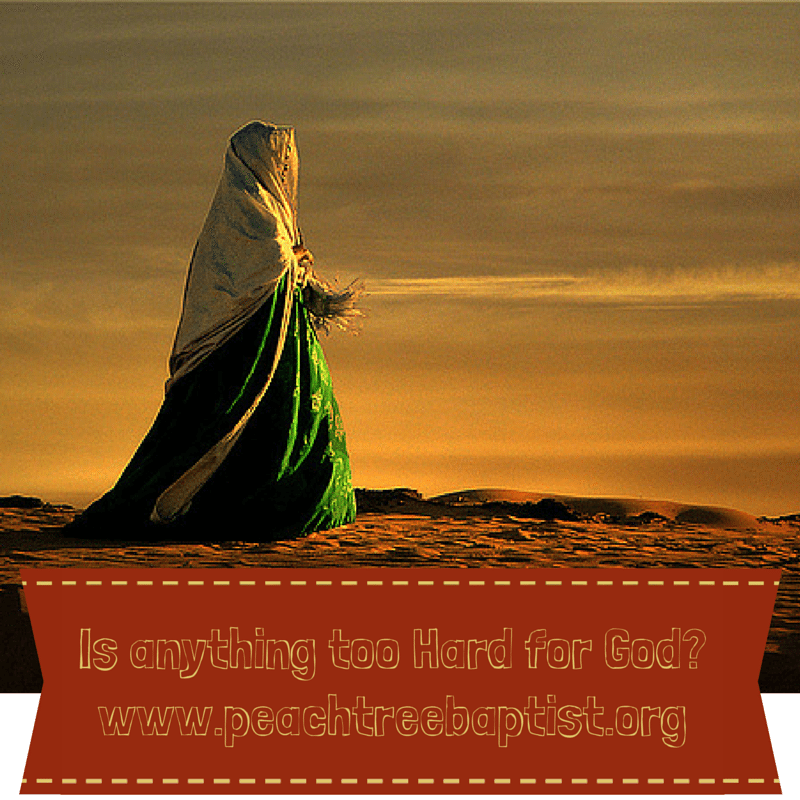 Women… Is Anything too Hard For God? Have you ever lied to God? Laughed in His face? Complained, murmured, or even took His promises for granted? It’s been a long time since Sara walked this earth, but women haven’t changed that much since then! We still battle with disappointment, anger, hopelessness… all the same things that Sarah battled. Yeah, so she cooked over an open fire and lived in a tent… but I believe her heart and ours still share an ageless struggle. 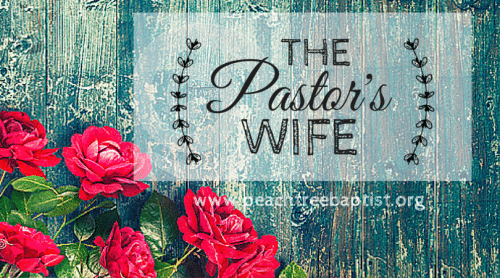 What would Sara say to the women of faith in 2015? Sara, guilty of all those things I mentioned above, but also “princess”, blessed of God, mother of God’s people, even a Hebrews 11 hero of faith… would humbly tell us that women of faith aren’t perfect. Perhaps she would mention that God lovingly forgave her when she messed up. Sara might also tell us of an amazing God who reminded her of his faithfulness and gave her faith in the midst of her dying hope for a child. My dear sisters as we face the challenges of each new day, when we feel like His promises will never come true, or when we just can’t go on… we can receive strength to be faithful (Hebrews 11:11) just as Sara did. The same grace that Sarah received is the same grace that is still available for you and me. Sarah’s life is an amazingly clear testimony of God’s grace and mercy… working the unordinary in ordinary people!